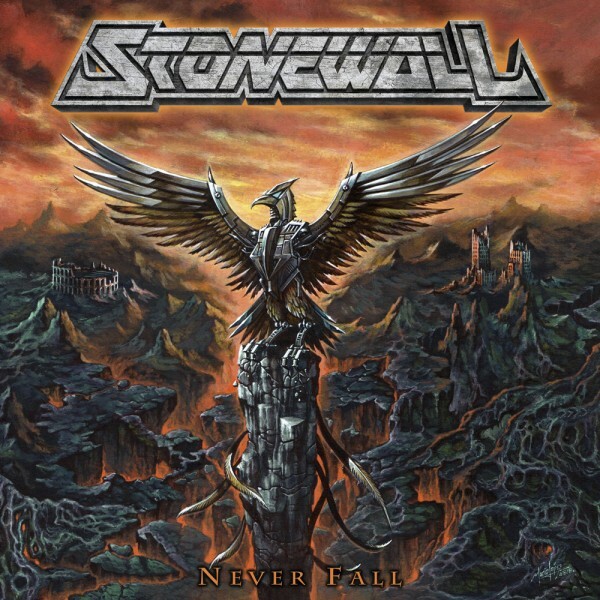 STONEWALL was formed in September 2006 by mastermind Tony Warriors, in order to start a true heavy metal project. The early line up was a trio, with Tony covering drum and lead vocal duties. During the first 3 years of activity the band profounded all energies in covering metal classics (Fifth Angel, Omen , Judas Priest and Metal Church mainly) that influenced them and also writing their first songs. In 2011, Stonewall’s first full lenght “Victims Of Evil” was released and it was warmly welcomed as one of the best underground records of that year, according to webzines from Italy and Spain. Due to personal problems, the band cannot tour to promote the album but in the meanwhile a version of Omen’s classic “Be My Wench” was recorded by Stonewall and included to the italian tribute album “All Fear The Axeman” (2012). It was only after 3 years that the band came back with a stronger line up which toured Italy, sharing the stage with bands like Heir Apparent, Oliver/Dawson Saxon, Battle Ram, Iron Angel, Crying Steel and many more, getting more and more consent by press and fans. In 2015 the band started to write new songs for a new album and continued to play live. Among 20 new tracks, just 11 were selected to be part of the second full album called “Never Fall”. The recording sessions ended in November 2017 and early 2018 Stonewall joined No Remorse Records. “Never Fall” is set for release on September 28th, 2018 via No Remorse Records.